Ships Monday, April 22 if ordered in the next 2 days, 16 hours and 40 minutes! 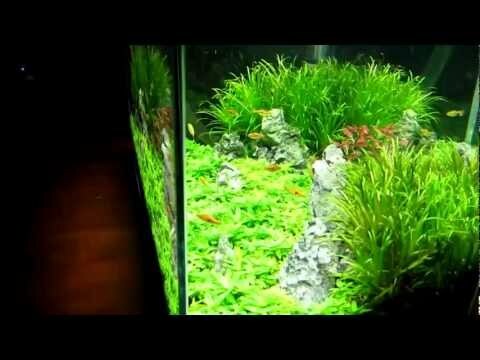 Finnex FugeRay Planted Plus 12"
Finnex FugeRay Planted Plus 24"
Finnex FugeRay Planted Plus 30"
Finnex FugeRay Planted Plus 36"
Finnex FugeRay Planted Plus 48"
0 Finnex FugeRay Planted + Cliplight Aquarium LED Light - Plus Moonlights + 10"
0 Finnex FugeRay Planted Plus 12"
0 Finnex FugeRay Planted Plus 16"
0 Finnex FugeRay Planted Plus 20"
0 Finnex FugeRay Planted Plus 24"
0 Finnex FugeRay Planted Plus 30"
0 Finnex FugeRay Planted Plus 36"
0 Finnex FugeRay Planted Plus 48"
Depending which color and which length fixture you are referring to most LEDs are .12 watts the mounting legs on this are not adjustable. The positives: It's an attractive LED light, it's bright, and functions well. It seems to be doing well for my cryptocorynes and my stem plants. But there is one glaring flaw. The light comes with two switches - one for the white and red LED's, and one for the blue moon lights. But both of them are on the same power cord. So, if you want to put your lights on a timer, then you can't have the moonlight evening effect. Most aquarium plant hobbyists usually put their lights on a timer to guarantee a consistent photosynthetic period for the plants. I would think that Finnex would know this, and provide a method to control the blue lights independent of the white and red ones. This is my 3rd light purchased to replace my halides. Power consumption is diminimous and the plants love it. I was recommended this light by my local fish shop when I asked about upgrading my lighting to LED to have more of a true planted tank. I have only had the light now for 1 week but what a difference. One of the plants that I have that was almost dead with the slightest life has already added more than an inch of new growth. So much brighter than my old T8 that came with the tank. It looks just like daylight. The fish have responded very well. They really seem to like the moonlight as well. The light is very sleek and slim, very nice looking. Takes up no space at all, I love the low profile. I did my research before I bought this light and couldn't be more pleased so far. So far I strongly recommend this light.